The center caters to a growing demand from Shanghai's elderly people for how to pass on their property to avoid dispute, with many people now considering making a will. 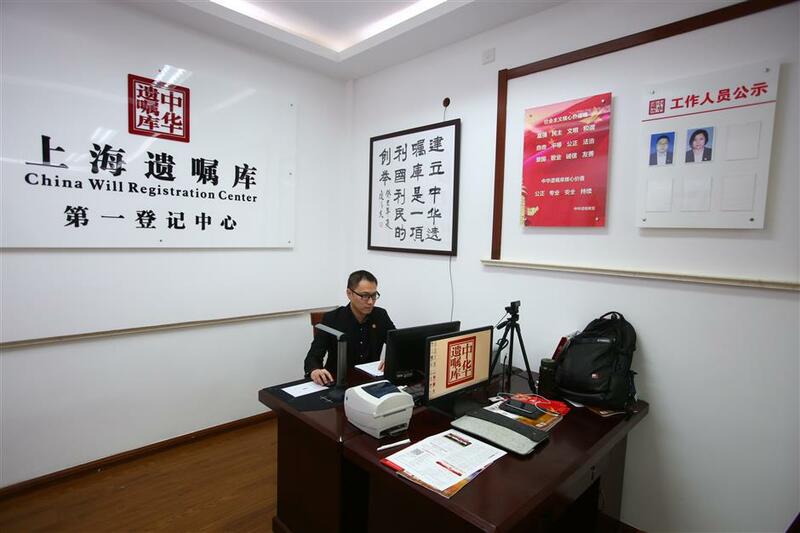 Cai Sheng, vice chairman of the China Will Registration Center, works in an office at the new branch. 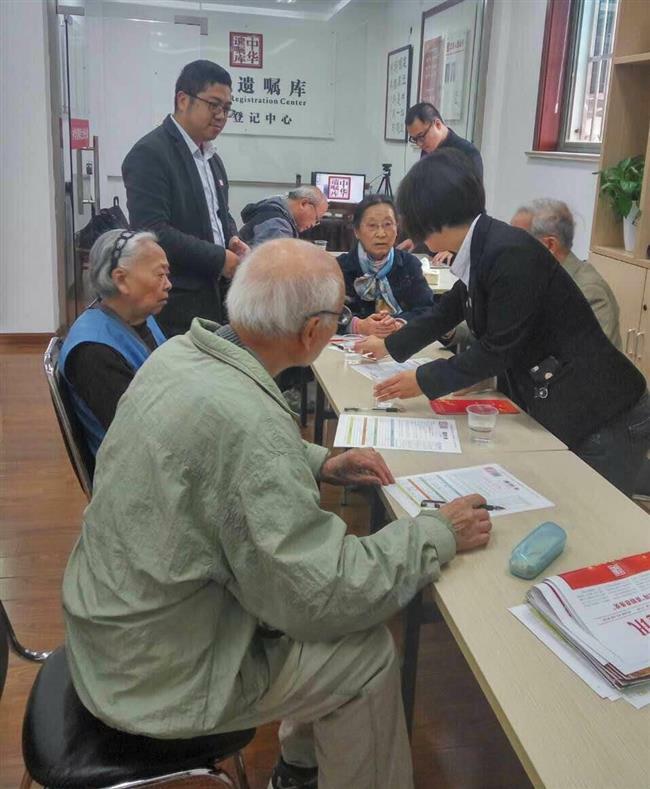 Elderly Shanghai residents are now able to write a will and keep it secret from their families with the launch of a local branch of the China Will Registration Center. Jointly founded by China Aging Development Foundation and Beijing Sunny Senior Health Foundation four years ago, the center has six branches across the country — Beijing, Tianjin, Guangdong, Jiangsu, Guangxi and now Shanghai. So far this non-profit program has served more than 100,000 elderly people and keeps over 70,000 wills for them. The service aims at helping to avoid disputes over inheritance. According to Zhao Zhongxing, head of the Shanghai branch, the city’s population aged above 60 reached nearly 4.6 million by the end of last year, representing 31.6 percent of the population, almost double the national average. There is a growing demand from Shanghai’s elderly people for how to pass on their property to avoid dispute, with many people now considering making a will. To avoid being put under pressure by the applicant’s children or relatives, once an application has been accepted, the elderly person wishing to make a will is taken to a room with only an officer at the center present. The applicant is asked to write down his or her will and then read it in front of a camera, to ensure their words are recorded carefully. The will can be considered as evidence in court in case of any dispute. Two officers with the center offer consulting service to the elderly people. At the branch, located in a residential complex on Honggu Road, Changning District, a grandmother was applying for a registration on Friday. The old lady then decided to leave her house to her daughter, who was asked to only to help her brother if there was an emergency.